The FanChain token leverages a unique combination of fungible and non-fungible characteristics that enable team loyalty and affinity to be embedded within individual tokens, and which can be produced and transmitted across multiple platforms via a DApp-powered “minting” system. The decentralized and open-nature of the ecosystem allows it to be adopted by online publishers, fantasy platforms, social networks, sports teams, leagues, over-the-top (“OTT”) platforms, stadiums, and arenas — both online and on-location. FanChain is developed by SportsCastr for use on its platform and on other affiliated sports platforms or venues in which fans create value. SportsCastr’s FanChain ecosystem will include blockchain-powered digital goods, tips, premium subscriptions, and pay-per-view (“PPV”) functionality and an enterprise-grade SDK that will allow its technology to be integrated into existing OTT systems. The problem with the shift from fans as passive consumers to active content producers is that fans are not benefiting from the value they are creating for their favorite teams (and for other fans). Even though sports leagues are securing record-high distribution deals- and social networks are generating billions in revenue from user generate-content- fans have yet to be factored into the equation. 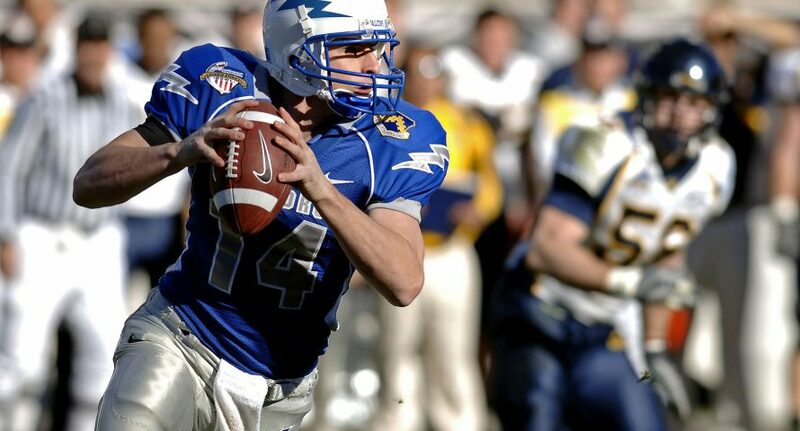 FanChain provides a framework in which fans are rewarded with a token that can be used within the sports ecosystem to which they contribute, and creates a feedback loop that incentivizes the community to contribute to the social conversation that they rely on for an optimal sports experience. FanChain introduces the concept of “Mints,” which are powered by a DApp and which allows third-party entities to distribute FanChain tokens that are stamped with a specific sports team, league or event. Fans earn FanChain tokens for sharing news, providing commentary and participating in the social conversation of their favorite team(s). Fans can then use their FanChain tokens to purchase goods, receive rewards, and access content from, for example, leagues, teams and media platforms. Teams and leagues can offer rewards and access to their most engaged fans by targeting holders of their respective team-stamped FanChain tokens, and can accept FanChain tokens for merchandise or access. Online publishers, OTT platforms and social networks can distribute FanChain tokens to encourage participation and user-generated-content (“UGC”) that increases viewership, revenue and adoption. A user creates content, or some other value, for a specific sport, team(s), game, league or related event on a UGC platform that is approved to be a Mint. Note: The role of a Mint is to categorize content and stamp tokens. It cannot issue new tokens – only distribute tokens that are already in its possession. The user receives FanChain tokens containing metadata that are “stamped” with the team(s), league(s) or sporting event that the user created content or value for as a reward. FanChain token compatible wallets will show a user’s total balance of FanChain tokens, and additionally provide a visual breakdown of the stamps that are associated with their tokens. This results in content/value-producers being rewarded with FanChain tokens that are unique to their favorite sports, teams, leagues (or other sports-related event). Third-parties can then offer special discounts, access, digital goods, promotions and features to FanChain users who hold a certain number of stamped tokens of a particular team, league, or other sport related events and organizations. To get more information about ICO investment read the ICO planning guide. How Fanchain Token Is Different? Similar to the concept of a “colored coin,” FanChain tokens are the synthesis of a fungible token with a non-fungible token. Although the FanChain token is fully ERC20-compliant, its implementation of the ERC20 specification allows for additional information to be stored on a per-address basis. This additional metadata contains the breakdown of an addresses’ token balance by team, league or event. FanChain tokens can be transferred and monitored by any ERC20 compatible wallet without care or concern of the extra metadata (“stamps”), but the extra data associated with each stamped token (e.g. team or league breakdown) becomes visible in FanChain-aware systems. Divisibility: Unlike pure ERC721-tokens, FanChain tokens can be decimalized to allow for fine-grain and microtransactions. FanChain tokens can be transferred and stored as fractions of a token, instead of only in whole-token increments. Lower Gas Prices: Transfers between addresses do not require a transaction per token, but can be executed using a simple, low-cost group operation (even when transferring team, league or event-specific tokens). This significantly reduces the Gas consumed when using FanChain’s DApp. Consequently, transactions only consume slightly more Gas than a basic ERC20 operation, especially when compared to ERC721 bulk transfers. If you want to track the performance of trending ICOs in the market then check the ICO stats.